INDIANAPOLIS — Oaktree Apartments, long seen as a crime-ridden eyesore in Indianapolis, will soon be demolished by the city. For many living in the area, it’s a good thing to get rid of an apartment complex that’s been home to crime, vandalism, and fires. Last month, two fires were intentionally set in the complex in one day. 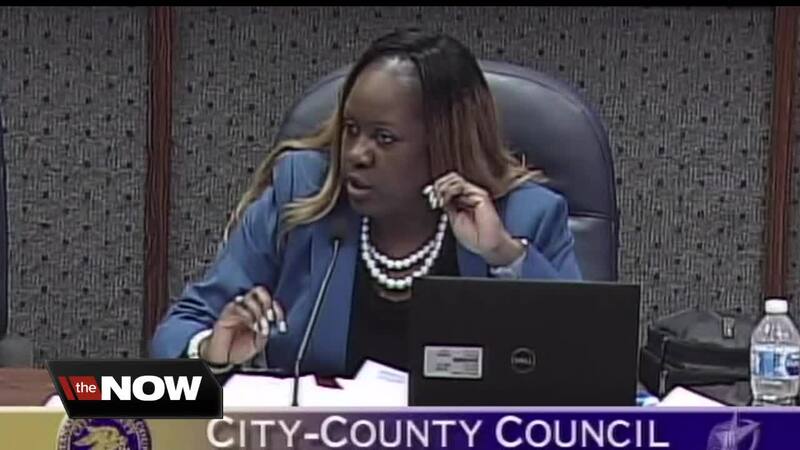 For Indianapolis City-County Councilor La Keisha Jackson, it’s just the next step in a decade-long process. She has been trying to get the area of 42nd and Post cleaned up for 10 years. She’s been on the council for about half of that time. The council voted 13-11 Monday night to approve $1.2 million for the demolition. How did Jackson feel when she saw the results of the vote? "I was ecstatic,” she said. “I was jumping up for joy on the inside." At the council meeting, many residents of the community spoke out against the complex and advocated for its destruction. "Our community came together,” Jackson said. “We rocked it. We said yes. We stand together – Far East Side." The demolition should begin by the end of the year.